Listen to this track by self-professed old-school singer-songwriter and AM radio fan from way back Ron Sexsmith. It’s “Radio”, the first single off of his 2017 record The Last Rider. The album was the first record cut with his long-time touring band playing all the parts in an expectedly musically simpatico manner. This includes drummer and singer Don Kerr, with whom Sexsmith also produced the record on the shores of Lake Ontario at The Bathhouse in Kingston, Ontario. This is a bona-fide homegrown album in many respects, then. Maybe that’s why the album sounds so warm and contented with Bill Withers meets Gordon Lightfoot meets The Kinks textures a-plenty. Sexsmith is known for those kinds of textures and moods through out his incredibly consistent discography. Yet on many of his releases this decade, some of his disdain for recent industry trends and his frustrations with the increasingly complicated game of putting out music in the way he wants to has definitely seeped into his optimism-under-pressure songwriting worldview. Listen to this track by St. Catharines Ontario-born singer-songwriter and teller of tales Ron Sexsmith. It’s “The Idiot Boy”, a deep cut as taken from his 1999 album Whereabouts, his third record. The song traces the history of humankind itself through a distinctly Biblical lens, tongue firmly in cheek. In it, the titular central character is not so much a hero in his own story, but more like his own stumbling block. This is very much in keeping with the whole record. Whereabouts is a pretty overcast album, full of self-doubt and struggle. On it, Sexsmith seems to live up to his (not ultimately accurate) reputation as a perpetually glum songwriter, with his rainy-day voice not entirely helping to dissuade the casual listener any differently. It was therefore hard for that same casual listener to see the humour in the lyrics, an angle that has also been a part of Sexsmith’s approach. There’s more to this song than what first might be perceived. 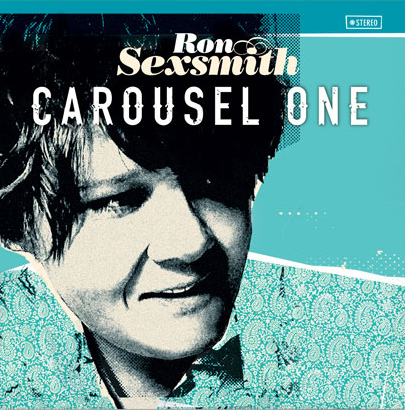 Listen to this track by supposed melancholic singer-songwriter Ron Sexsmith. It’s “Saint Bernard”, the lead single from his most recent record Carousel One, to be released next week in the United States and in Canada. The new record is the follow up to 2013’s Forever Endeavour, which was kind of like the Sunday morning album from his Saturday night-before flirtation with a wider audience as depicted in the 2010 documentary Love Shines and the associated album Long Player, Late Bloomer. Both of those records helped to bring Sexsmith out of what he considered to be a career funk in terms of sales and exposure, although much of their content framed that sense of struggle that his career was getting away from him. Often pegged as a melancholic songwriter (incorrectly, in my view), these albums seemed to confirm him as one who deals in the bigger questions in life, the weighty themes that humanity has always wrestled with; the nature of success, of happiness, and an ever-present sense of mortality that presides over our lives. I suppose it makes sense that critics have pigeonholed him in the sombre section of their inner record collections after hearing these two albums from him, even if the songs themselves never sound as weighty as the themes with which they deal. Here’s a clip featuring Canadian national treasure and songwriting savant from St. Catharines Ontario Ron Sexsmith. It’s “Nowhere To Go”, the opening track to this year’s Forever Endeavour, the follow up to his career-high success in 2011’s Long Player Late Bloomer. This song is something of a bridge between the two records, in that it explores territory that Sexsmith took on head-first while working up that earlier record. It was during that earlier period that his hopes to be heard by more people, while struggling with the feeling that he wasn’t really getting anywhere, were at their strongest. Discouragement had been nipping at his artistic heels. It’s not like Sexsmith was an unknown at the time. It’s not as if he is now unaware of how loyal his “Ronhead” fans have been through out his career, nor is he unaware that his own peers, and a great many of his heroes too, hold him in high esteem. During Sexsmith’s efforts at building a body of work, the fame game had become an even more complicated treacherous labyrinth than it ever was. Raw talent and artistry had become something very often sidelined in favour of other more measurable (read: more immediately marketable) forces. And it started out to be predatory in this way to begin with, not suffering fools or introverts gladly. Here’s a clip featuring singer-songwriter with an eye for three-dimensional characters as well as get-in-your-head melodies, Ron Sexsmith. 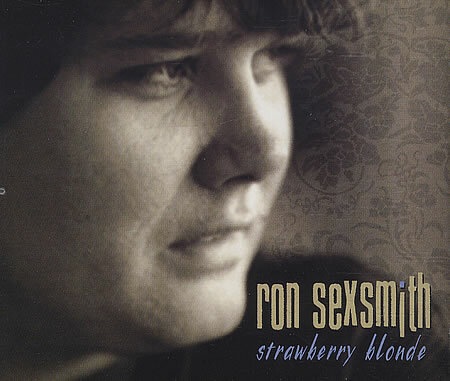 It’s “Strawberry Blonde” as taken from 1997’s modestly-titled Other Songs, Sexsmith’s second album. It’s a tale of childhood trauma, yet with many emotional currents that give it tremendous substance; regret, nostalgia, pathos, grief. This tune, now a popular live staple for Sexsmith, would be an indication of a few things where Sexsmith the writer is concerned. First, it proves that his musical well is a deep one, maintaining his level of quality established on his excellent, and critically lauded self-titled debut. Second, it proves that Sexsmith is something of a throwback as a songwriter, back to the times when songs were about something, with this particular track being among one of the best examples. Like many songwriters cut from similar cloth, Ron Sexsmith touches upon a range of human experience in his work. But, he’s better able than many to embody those experiences in the lives of people in his songs. We care about the little girl “Amanda” because she has a life of her own in his song. And perhaps, we care about her because we’ve known people in our lives like her. 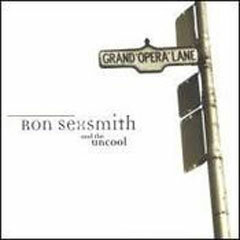 Listen to this track by St. Catharines Ontario favourite son and effortlessly awesome singer-songwriter Ron Sexsmith, with his former collective known as The Uncool – Steve Charles on bass, and Don Kerr on drums and backing vocals. It’s “Don’t Mind Losing”, a jubilant Moondance-era Van The Man style acoustic soul-pop gem as taken from his 1991 independently released album Grand Opera Lane. The song, and the album off of which it comes exists as something of a prequel to his major label debut Ron Sexsmith in 1995. You can hear the decidedly different tone and approach to presentation and style characterized by more overt soul and rockabilly references. Ron Sexsmith had spent some time living in rural Quebec, letting his dream of becoming a songwriter steep while mapping out how he was going to pay for his life in the meantime. While working out how to bring his talent to the table of the music industry, he had a wife and newborn son in tow, with a daughter soon to join them by the end of the 1980s. So, in returning to St Catharines, and then to Toronto, he had to secure a day job as a courier, wondering if his real calling as a songwriter and musician would ever really come to fruition. It’s a pretty common tale, many versions of which we’ll never get to hear from songwriters who never found their path. With that in mind, never has a song about feeling set upon by circumstance and existential despair sounded so bright and bouncy, gleaming with horns, a seriously groovy bassline, and ecstatic backing vocals. But, in all of that aural joy, where does it connect with where Sexsmith was going as a professional musician? Over the last few weeks here at the Delete Bin, some of you have read a couple of pieces about Ron Sexsmith, and about the movie Love Shines, which is in part about his latest record Long Player Late Bloomer. I wrote a review of the film Love Shines. I even ran a Ron Sexsmith Love Shines contest that sent two of my commenters for drinks and a chat with Ron, and Love Shines director Douglas Arrowsmith. 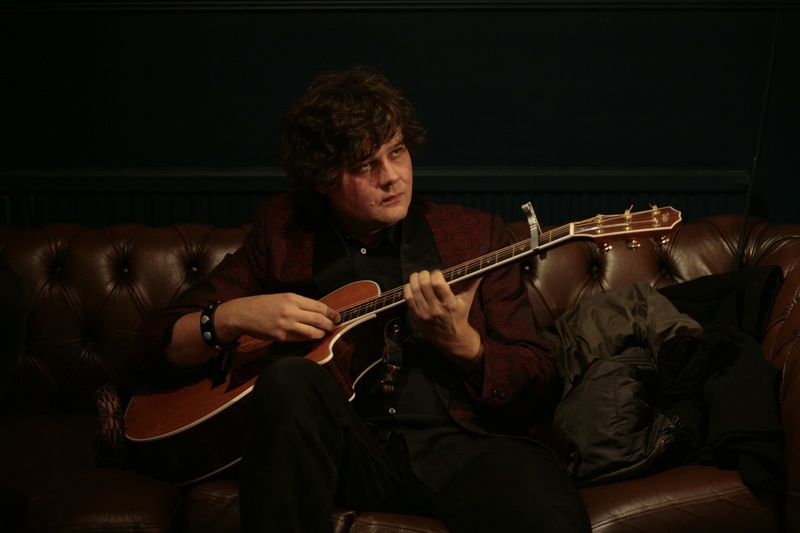 Today is the third installment in the Long Player Late Bloomer/Love Shines Ron Sexsmith trilogy here on the Delete Bin, and a great honour it is to present it to you here: the Ron Sexsmith interview. I asked him about the movie, and what he thought of its central character. I asked him about mainstream success, and about some of his heroes who have also been at the center of recent films contemporary to this one. And of course, I asked him about fan support, and how he sees the future unfolding for himself as a songwriter and performer, post-biopic. It’s a big thrill for me to have had the chance to do it, given that Ron is nothing short of one of my favourite songwriters of all time. And Ron himself was very generous with his time and his responses, given that (at the time of this writing) he’s on tour, and about to play the Rio Theatre here in Vancouver. Here is that interview, conducted via email a few days before the show. See ‘Love Shines’ and Meet Ron Sexsmith at SXSW 2011! This is an historic moment here at the ‘Bin. Our FIRST CONTEST! The good folks at Paperny Films, and the administrators of the Love Shines Facebook page want to send you, Austin TX residents and those already going to the SXSW festival, to the Wednesday March 16, 2011 showing of Douglas Arrowsmith’s documentary about Ron Sexsmith Love Shines at the Vimeo Theatre. They want you to meet director Douglas Arrowsmith and RON SEXSMITH TOO before the screening! Listen to this track by supernaturally gifted and underappreciated in his own time singer-songwriter Ron Sexsmith. It’s “Believe It When I See It”, the third track as taken from his most recent album, Long Player Late Bloomer. This album was produced by Bob Rock, a man with a track record for mainstream success, a fellow Canadian, and a key player in the drama that unfolds in Douglas Arrowsmith’s documentary Love Shines, which is in part about the making of the record. The film debuted here in Vancouver at the Vancouver International Film Festival in 2010, and was more recently broadcast in the UK on BBC4 to a receptive audience there. But, the film is also set to debut in a few days, March 15 to be exact, at SXSW. In addition to being about the making of the record, the film is also about Sexsmith; his talent, his impression on other musicians who admire him, and his own history as a musician. But, it’s also about Sexsmith’s seeming inability to reach a wider audience, and the resultant seeds of doubt that have plagued him as a result despite his incredibly consistent output as an artist.